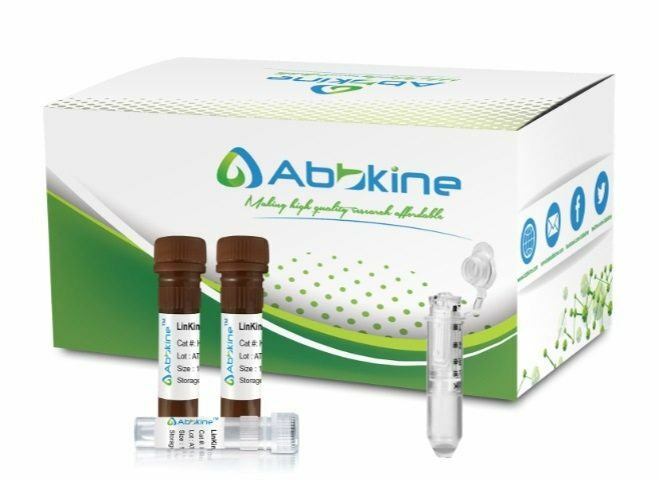 LinKine™ AbFluor™594 Labeling Kit is designed for preparing AbFluor™594 conjugates directly from proteins, peptides, and other ligands that contain a free amino group. Fig. 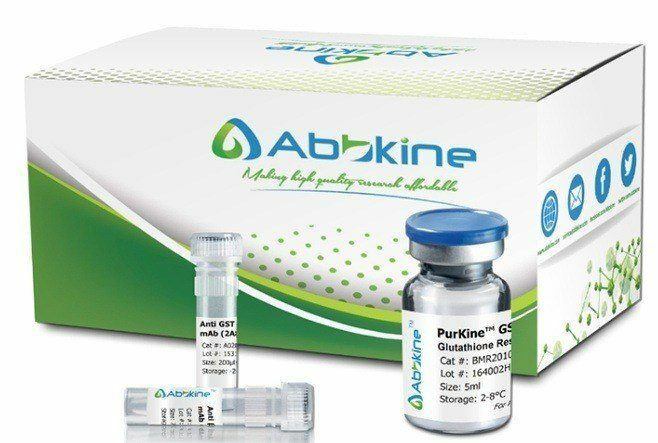 LinKine™ AbFluor™ 594 Labeling Kit is designed for preparing AbFluor™ 594 directly from proteins, peptides, and other ligands that contain a free amino group. • Activated AbFluor™ 594 – Ready for Labeling to antibodies and other proteins. • Optimized kit procedure – following the standard protocol results in antibodies with excellent dye: protein ratios for optimum activity and fluorescence. • Single-use fluors – kits contain single-use vials of reagent. • Efficient purification—kits include purification columns, ensuring rapid and efficient removal of non-reacted dye and excellent protein recovery. •The amounts of molecules used for Labeling ideally should correspond to molar ratios between 1:8 to 1:22 molecules and AbFluor™ 594. AbFluor™dyes are a series of highly water-soluble fluorescent dyes spanning the visible and near-infrared spectrum for Labeling biomolecules, especially proteins and nucleic acids. AbFluor™dyes bear the core structures of different fluorescent dye core structures that cover the fluorescence spectrum from UV to NIR. Innovative modifications to the core structure makes AbFluor™dyes superior to other commercial dyes with many innovative novel features. 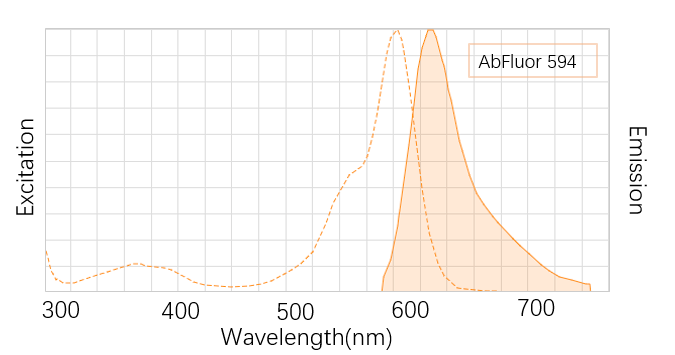 AbFluor™594 is the brightest deep red dye with the λEx/λEm of 593/614 nm, extremely photostable, which is super alternative to DyLight 594, Alexa Fluor 594. It yields the brightest antibody conjugates among spectrally similar dyes.